Paris Saint-Germain have reportedly expressed an interest in making a big-money offer for Real Madrid midfielder Toni Kroos. The Ligue 1 champions have dominated the domestic league this season, but the Parisians have continued to fall short in the Champions League due to changes during the summer window. 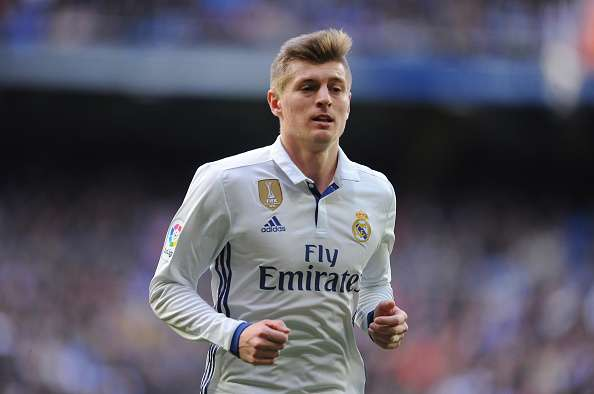 According to OK Diario as cited by Sport, Paris Saint-Germain are contemplating an approach for Kroos and may be willing to splash €80m for the Germany international, who has endured an average campaign with Los Blancos. Kroos, 29, is close to the end of his fifth season with the La Liga giants, but the return of Zinedine Zidane could potentially lead to the playmaker staying at the Spanish capital. Meanwhile, Premier League leaders Manchester City have also been linked with a bid for Kroos.